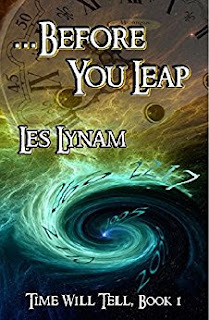 In today's review column, Brent A. Harris sinks his teeth into The Accidental Cannibal, by Dale Rutter, and E.M. Swift-Hook and Jane Jago's collaboration Dying To Be Roman, while I dive into urban fantasy Too Wyrd from Sarah Buhrman and time travel caper Before You Leap, by Les Lynam. First up, Too Wyrd. Some books just get you. 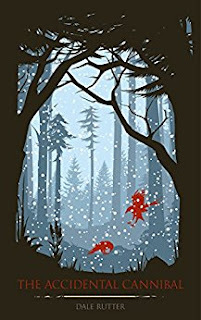 They just catch you right - and Sarah Buhrman's first book in her Runestones saga does that with me. It's the story of single mother Nicola - who discovers her sister is mixed up with a cult and sets out with her best friend Joseph to try to rescue her. The kicker? Nicola's also a heathen witch. And it turns out this cult actually could bring about the apocalypse. Plunging headlong into a world of urban fantasy, with Norse gods and the possible coming of Ragnarok, this is a great ride of a tale. It kinda slows up a little bit in the first third, but then rushes onward towards... maybe... the end of the world? Nicola is a great character, brittle with the authorities investigating the supernatural shenanigans but passionate in her friendships, and a reluctant heroine, drawing on her own strength even with the cost that using magic imposes upon her. If you're a fan of urban fantasy, this is squarely in the genre - with a great female lead character, and a swirl of magic and mythology. Honestly, I enjoyed this more than Jim Butcher's Dresden series - definitely a world worth discovering. 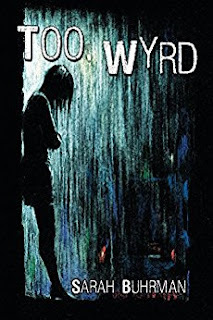 Too Wyrd is available on Amazon here. Okay, I'm going to recommend something for readers considering this book. You all know the old adage about not judging a book by its cover. That one doesn't apply here. Smashing cover, smashing book. No, I'm going to say don't judge this particular book by the Look Inside feature. You see, Before You Leap starts off far away from the action of most of the rest of the book. It starts in a distant future, where characters have names like LX and who speak in awkward, stilted dialogue, the kind of speech you might expect from someone like Data in Star Trek. The dialogue isn't awkward because of bad writing - it's how these humans of our future speak, and it sets the scene before we get catapulted back in time, as LX uses a time machine to travel to 1990s America. From there, we have a charming tale of high school America. There's cliques and outcasts, there's football and friendships - and in the middle of all this we have Sean Kelly, a 16-year-old still in the midst of discovering how the world works. Into his life comes Alexis, a strange girl who speaks in an odd way and who has a weird tic when he asks her something as she seems to be finding the information from... somewhere else. Is this the start of a romance? And why is she so weird? Then her sister Nicole shows up and things begin to get complicated for Sean. Part comedy, part sci-fi, part coming-of-age tale, this is a genre-busting, gender-bending caper written with real warmth and sincerity. You really feel Sean's confusion as the truth of the situation begins to be revealed, and my only complaint is that perhaps not quite enough happens in this, the first book of the series. But then... leaving the reader wanting more is not necessarily a bad thing when book 2 is already ready to buy. Before You Leap is available on Amazon here. This book almost became a Did Not Finish (DNF) for me. But I kept at it because I was given the book for an honest review. The accidental cannibal follows the coming-of-age of Samuel, a young boy caught amidst the wake of famine in a medieval sort of dystopian village (where everyone talks like 21st century teenagers). His parents are forced to resort to cannibalism, but hide that secret from their son, who later develops super-powers as a result. He becomes addicted, and the more he hunts, the more his super-powers develop. Luckily, he doesn’t have to eat anyone else to get more powers, he only has to hunt them. And later on, other villagers spontaneously develop abilities without having to eat anyone at all, leaving the whole central conceit of cannibalism murky and inconsistent at best. This continues until our hero meets a stranger, who complicates Samuel’s life for at least a paragraph of every chapter, before Sam explains it away and everyone continues their merry, dystopian life, (where apparently the famine is over). Eventually, Sam masters his abilities and confronts the villain where he uses none of his super-powers in the climatic, uh, confrontation. All this would make me rate the book three stars, for a unique idea that goes nowhere. Unfortunately, this book is 2-stars, as it was difficult to read. The author made a stylistic choice to write in third person present tense. It’s “Sam stops to listen.” That isn’t a deal-breaker, just odd. Third person present usually creates a disconnect because we know the action has already happened: we’re reading it (not watching it, which is why it works for scriptwriting). It could work, as Chuck Wendig shows, but it’s insanely difficult to pull off. Props to Rutter for trying his hand. However, clincher is that 90% of the story is told, rather than shown. We are consistently told how Sam and others feel. “Sam feels bad.” We’re hardly ever the ones to decide for ourselves what Sam is feeling. Finally, everything is repetitive. We’re told the same thing across multiple chapters, characters, and viewpoints. Sam feels bad.. The author has made the decision to tell the reader, then to have Sam tell his parents, and his girlfriend, then next chapter, we will read it from their perspective too in dialogue that is very slow, repetitive, and not at all how normal people speak, especially given the setting. Our character floats through much of the book, making no real decisions for himself, from the central conceit, to the final showdown. There is no real conflict, no real growth, nothing that doesn’t get resolved paragraphs later with a hug and a smile. Anytime the author hints at real emotion or character, it ultimately goes nowhere. There will be some who will enjoy third person present. There will be others still who enjoy the straightforward story and interesting concept. I sincerely hope those people find this book and that the author will continue to please them with many books to come. For me, it was as if the author had tried to write a screenplay and then decided to make it a book instead without playing to the strengths of the media. Two stars. The Accidental Cannibal is available on Amazon here. Dying to be Roman is an alternate history novella that is both fun to read and a poignant reflection of our own world. Swift-Hook and Jago deliver on what alternate history does best in a fun and flirty murder mystery set in a Rome that never collapsed. Dai and Julia are investigators. Dai is a Briton and a second-class citizen of a Roman-controlled Europe. When the murders involve the son of a Senator, Julia is brought in to oversee the case. Now, I confess that Roman history is not my strength, so I’m unsure if the Point of Departure that enables Rome to endure for 2,000 years works. It’s unlikely the Roman Empire would have survived that long, so one must suspend disbelief, but not too much. The setting and characters are believable, interesting, and the story is fast-paced. So it's easy to lose yourself in the narrative. 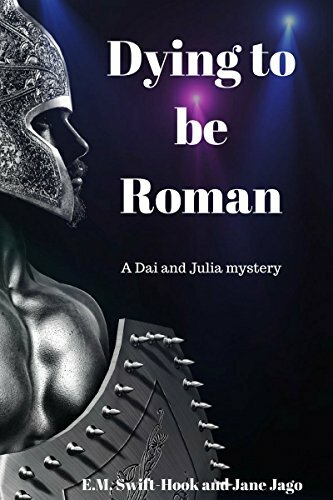 While on the surface, Dai and Julia must solve the mystery of the murders, Dying to be Roman is really about the inequalities of the elite vs everyone else, which can be mirrored onto our world. But what’s great about the story is that this theme carries on silent under the surface of the story, so that while the social commentary is there (important that it is), it still delivers on an entertaining and believable read. It’s a great alternate history and murder mystery mash-up! Dying to be Roman is available on Amazon here. Some great reviews. Thanks Leo and Brent :) I enjoyed Dying to Be Roman and Look Before you Leap too.